Wow *0* This is epic.A really nice Christmas gift. I love the color and the hair, but you look a bit angry ;-) nice art! Big, big WOW!!! I admire people who can do such piece of art!!! Amazing! Really impresive! nice work! She's Polish, just like me :) Poland loves Simone & Epica! Great work. Hey, this is lovely drawing! Great job! I only point my finger to the shape the hair takes, it could be more fluid and natural. 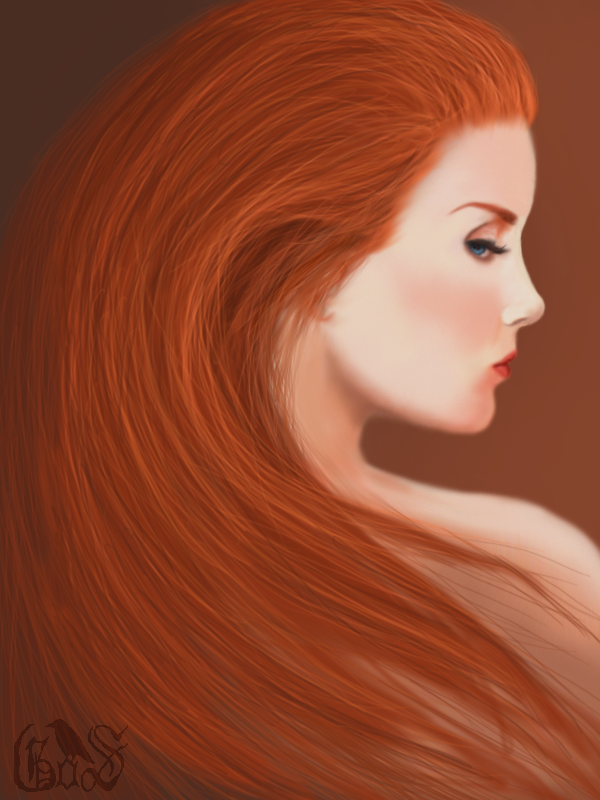 Nice to see people creating art of Epica - they deserved it! I love the sharp look in your eye. A big kiss from Italy. Epica will come to Romania and will have a concert to promote the latest album "Design Your Universe" at - Church Silver Club - Bucharest, March 29, 2011. I have told you about Epica some time ago so now I will not say anything new about them, but I can tell you something about the new Epica album because I saw them three months ago in Szene - Vienna. The ideea of the Design Your Universe album theme is that we create the world around us! We can create or at least we can influence our thoughts. This is not something new, but the lyrics that conway this message are fascinating. So everything changes for us. Our whole vision on life is changing because we are what we think. Most of the music and lyrics of the album are composed by Mark and Simone, and represents the best, hard, most mature, versatile and epic album ever. The music from Design Your Universe sounds great, is really special, destroys borders and is breathtaking. You should check out Epica and come and see them live in Bucharest, Romania. Tickets costs 60 lei(this is about 15 euros), if you buy them in January, 80 lei or 95 lei in February and March and are available online on shop.artmania.ro. and myticket.ro. I hope your holiday was as great as the last Epica concert in Hungary :) I was there, 'cause my parents know that I'm in love with this band. So I got 3 CDs for Christmas ('The Divine Conspiracy', 'The Classical Conspiracy' and 'Design Your Universe'), and I have to take to the school a CD with me, it's like a homework. But I can't decide... which song should I show to my teacher? Unfortunately, it may not be too long :( Could you help me, please?